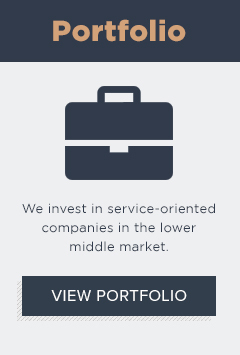 We specialize in growing companies at the lower end of the middle market. Fort Point Capital is a Boston-based private equity firm that invests in and supports promising, service-oriented companies at the lower end of the middle market and helps them take the next step to accelerate their evolution and growth. Maximizing a small business’s potential requires constant focus, expertise and nurturing — something experience had shown us larger firms are unable and/or unwilling to provide. Working in close partnership with management teams is not only the most satisfying way to work, but it also greatly improves the likelihood of a mutually successful outcome. We spend our days working closely with exceptional entrepreneurs and operators, providing them with the capital, know-how and expertise they need to strengthen and scale their businesses in a way that builds durable business value over time. When you partner with Fort Point Capital, you get a committed team of experienced business builders who have a passion for helping small companies do great things, with the resources to make it happen.